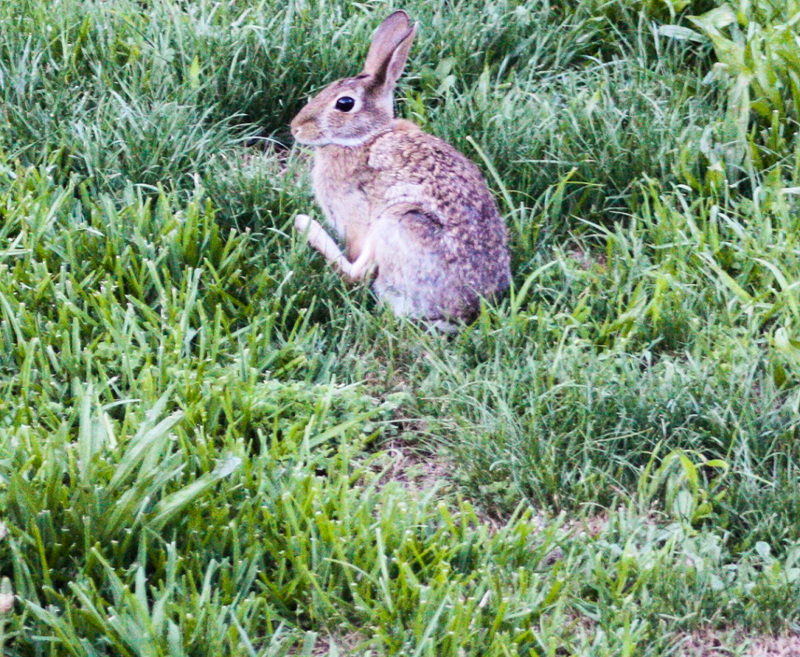 This fella was spotted in our front yard a couple of evenings ago almost at dusk. 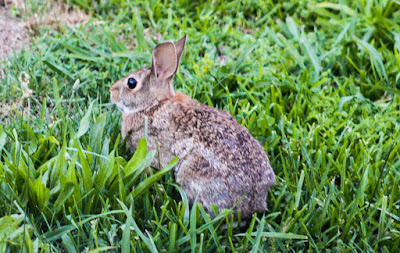 He enjoys dining on salad greens we are growing. 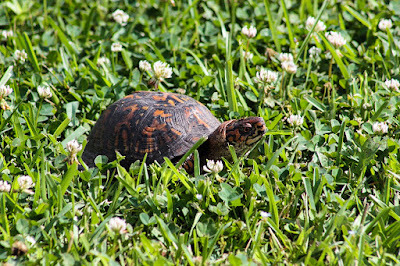 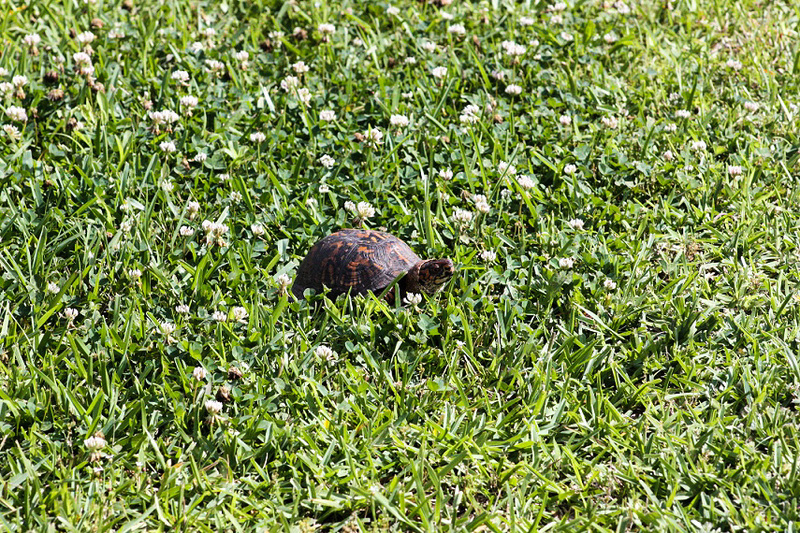 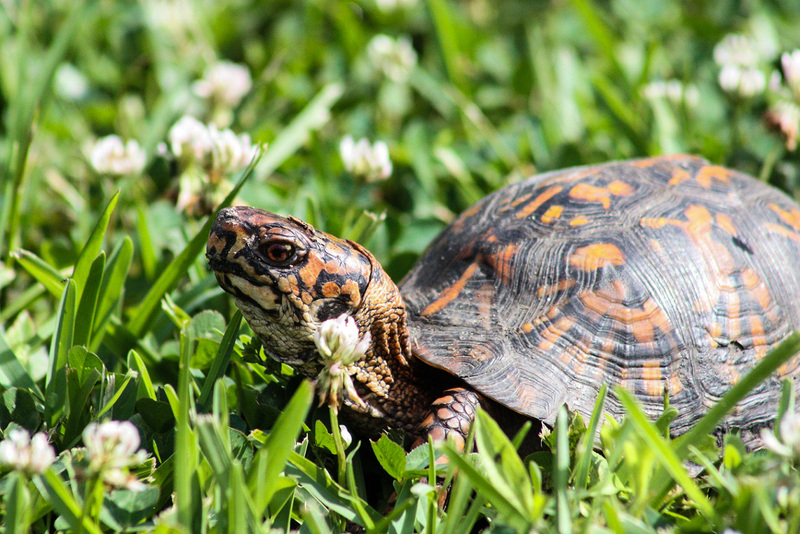 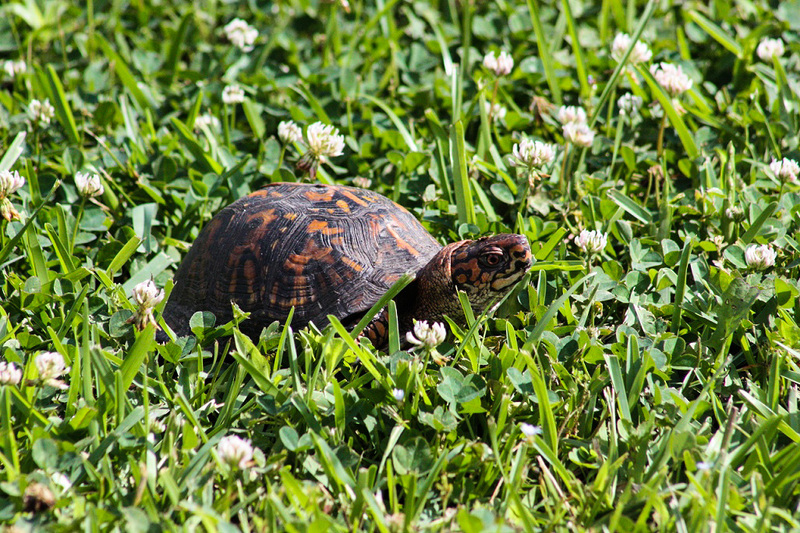 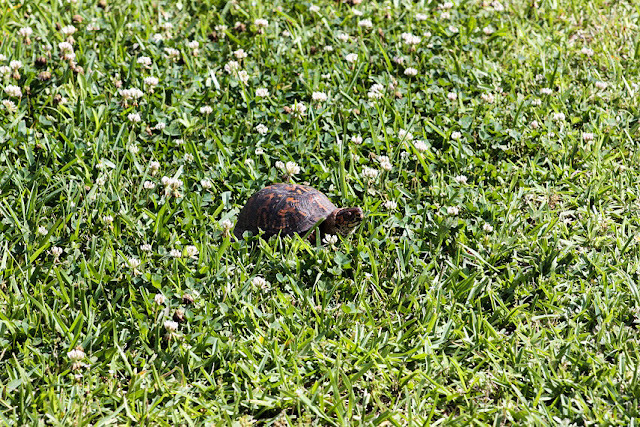 I believe we have had this eastern box turtle trudge through our yard last year.